If you’re looking for a place to put down roots, Killeen, TX has a lot to offer. It’s home to Texas A&M University and close to Fort Hood, making it a community that is stable, well-educated and family-friendly. Finding the right home can be a complex process, but as experienced realtors in Killeen, TX, The Releford Group can help provide you with the resources you need to make the experience simpler. •	Unemployment rate is 0.4 percent lower than the national average. Thinking of Buying Real Estate in Killeen, TX? If you’re in the market for a new home, benefit from the experience we have to offer as a qualified realtor in Killeen, TX. Home values have increased about 3.8 percent over the past year. 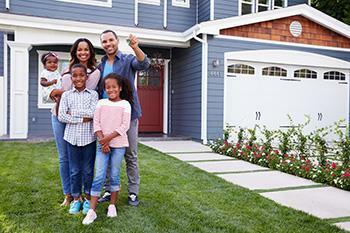 Although prices are projected to increase 3 percent over the next year, the market is stable. Whether you’re interested in a single-family home, a condominium or land, we can answer your questions and make the search much easier. Use our buyer resources to get more details about the area. Need to Sell Real Estate in Killeen, TX? If you’re ready to sell your property, work with a realtor with experience in marketing and selling to get a great price on your home. We can help you achieve your real estate goals by finding solutions and the right buyer for your home. Find information about recent home sales or use our seller resources to help you navigate the process and answer your questions. Killeen, TX is known for its down-home barbecue, outdoor activities and tons of music joints. Please contact us for more information about selling or buying a home in Killeen, TX. Check out our featured listings to begin your search, call our office at 254- 554-3568 or contact us online.